Check out our new rack card! We plan to distribute them around town and neighboring restaurants, museums, libraries, historical sites, hotels and motels...the list goes on. Would you like to take a few? 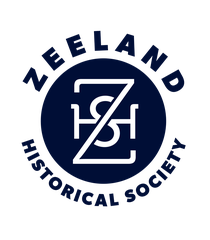 Just contact the Zeeland Historical Society.